Metro will conduct its annual fall MetroLink Fare Survey, starting Monday, October 19 and running through Sunday, November 15. You all continue going up on our fare and you waste fundsbon things that were not needed and then you charge us am additional fee for our children. We have to pay for 5 year olds??? I bet you are saying because they take up a seat, but so what they are 5!!! Children should not have to pay for children until they are at an age where it is OK for the child to ride without an adult.A 5 year old can’t do that but their fare is $1 and more if you need a transfer for them. Now add that up for at least 5 days a week going back and forth to kindergarten without a transfer.That is at the least $10 a week for a kindergartner. That is ridiculous! We as parents already have to pay rent or mortgages, electronic and gas, groceries, school tuition, hygiene and grooming products for them, field trips, books, to name a few and then metro turns around and says, well me want to get paid too,so you charge us on top of what we already pay for ourselves. Children should not have to pay until it is legal for them to ride the bus without an adult or if you just have to make money off them make it a dime. They are kindergardeners for Christ sake and Start charging a dollar at the age of 7 or 8, if you just have to make money off our children. Then charge them the dollar or dollar fifty. And I also get tired of you all hounding one individual for not having a ticket on the train but then you miss the 4 or five that run to another car or sometimes because you all pile up on the first person without a ticket the other four get away with it and they stay on the train cursing loud, playing their rap music filth loud and mocking you all for not catching them. We are stuck riding the train having to listen to those idiots because all of you all get off at the same time for one person. What about making sure we get a peaceful ride. You all don’t care about anything but money. You all know those kids play that loud music where they feel the conductor won’t hear them but the rest of us do. Stop wasting our tax dollars, stop charging our kindergartners, and enforcement this respect your ride… We do not want to hear loud rap music from somebody’s phone on anything else. We don’t want to hear loud profanity. We don’t want to hear them laugh and curse you all out behind your backs because they got right past you because you all get off the train for that one person. The girls get you all too. I have seen it. Those teens make fools of you all. 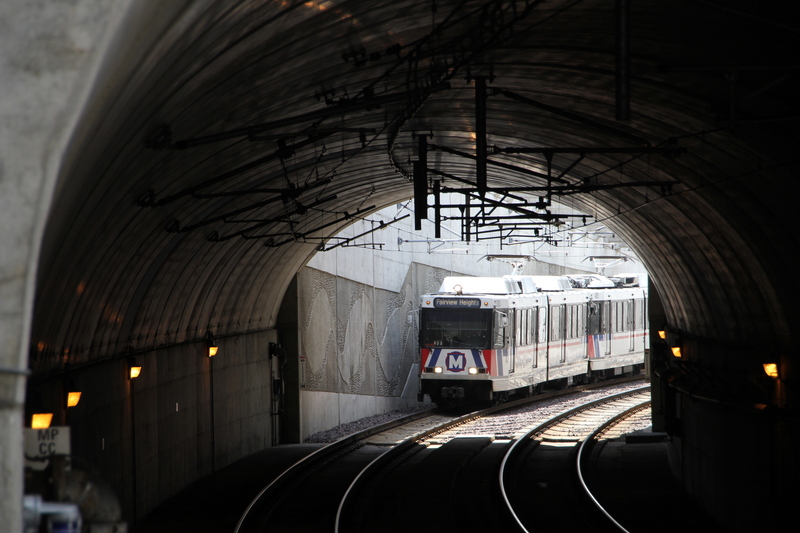 Metro’s fare policy is intended to ensure that approximately 20 percent of the cost to operate transit service in the region is supported through passenger fares; the remaining support for transit operations is paid primarily through local sales tax proceeds. Metro’s fare policy includes a range of fare payment options, including one-ride tickets, two-hour passes and other passes. As a courtesy to our customers, Metro offers reduced fares to select customer groups, including children ages 5 – 12. The fares for children ages 5 -12 are half the price of full fares. I understand your frustration with the requirement to pay fares for young riders. Metro receives many requests to provide free fares, including to students and young adults. Without a revenue source to offset that lost passenger revenue, Metro must remain committed to recovering about 20 percent of the cost of operations through passenger fares. Some schools participate in pass purchase programs, by which the school purchases student tickets from Metro at a discounted price and distributes those tickets to students. You may inquire about the availability of a pass program with your school. In terms of the loud music on board the MetroLink train, I have gone ahead and sent your feedback to our head of public safety so that they can review their fare enforcement practices. In the future, you are more than welcome to let the train operator know about loud or inappropriate noise. They can let security dispatch know and alert an officer at the next MetroLink station. We also have passenger assist telephones located on or near each MetroLink platform for you to report any suspicious activity and you may also call public safety directly at 314-289-6873. We appreciate all of your feedback Jordan and have gone ahead sent this to the appropriate team members within the agency. Thank you again.